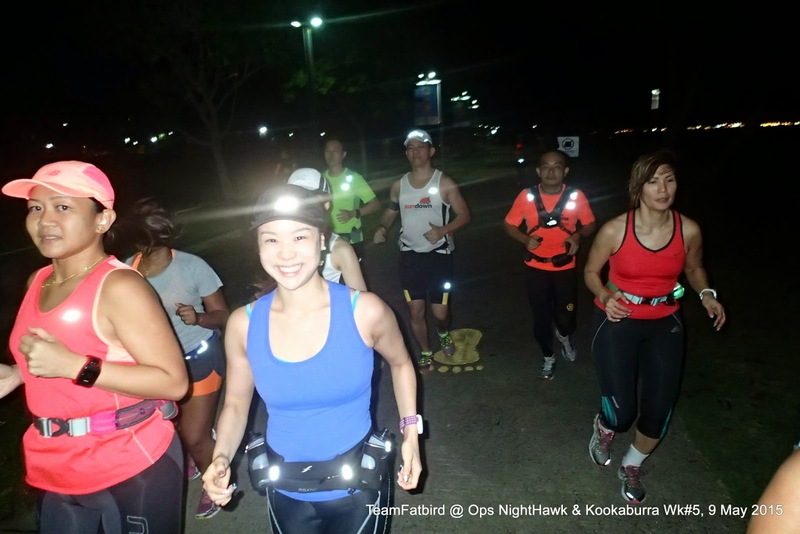 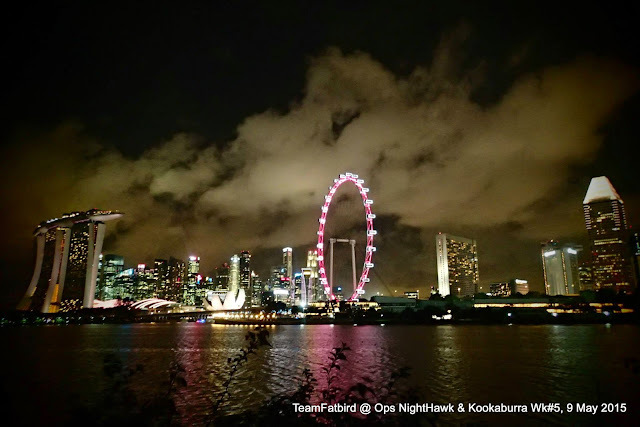 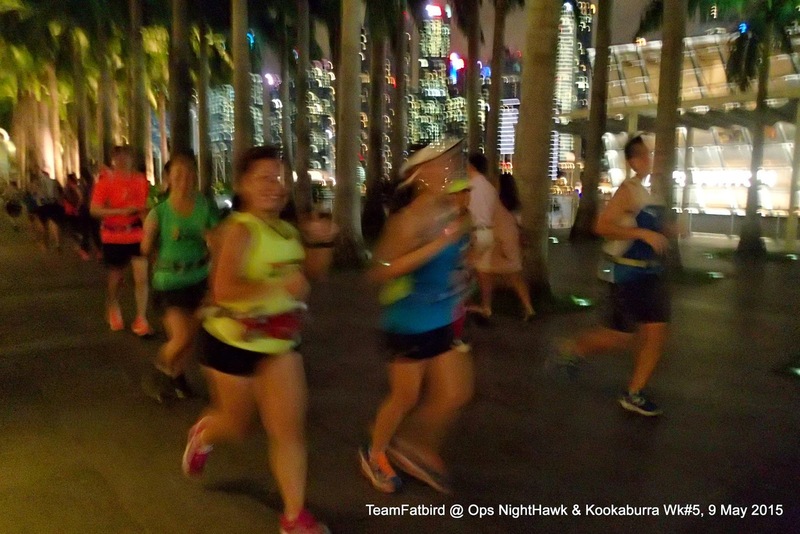 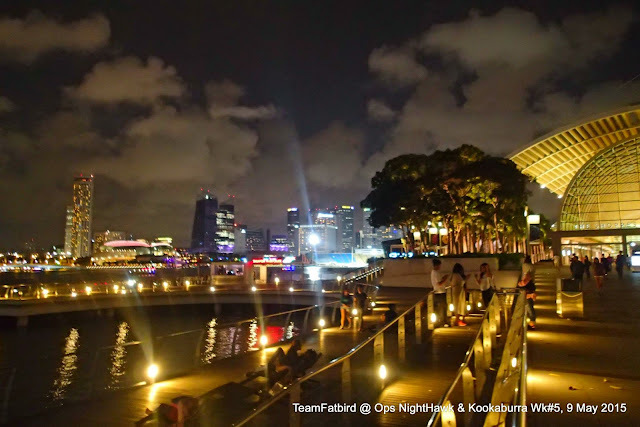 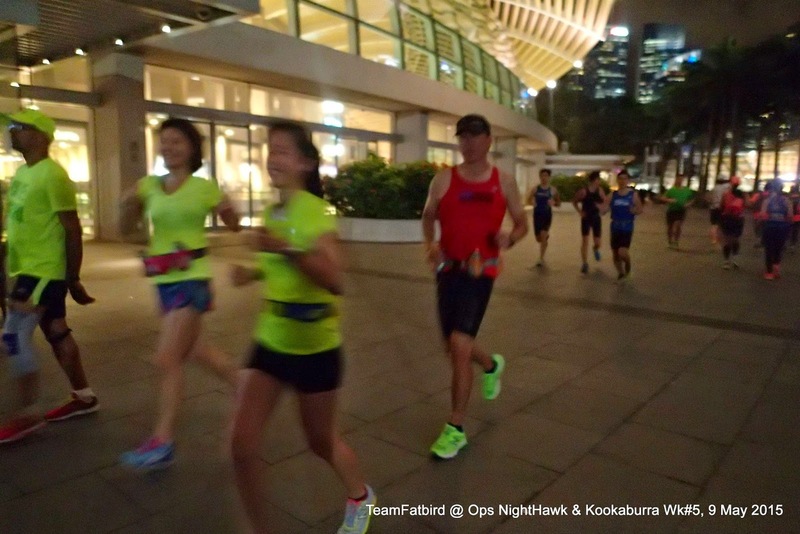 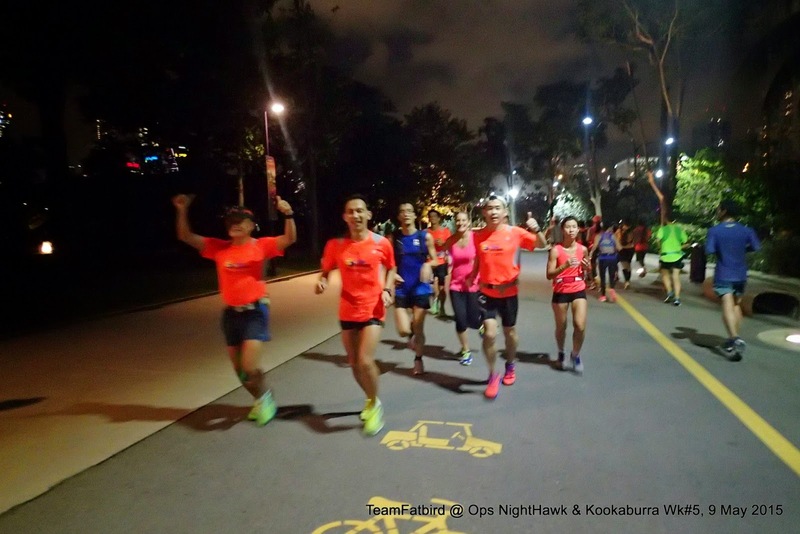 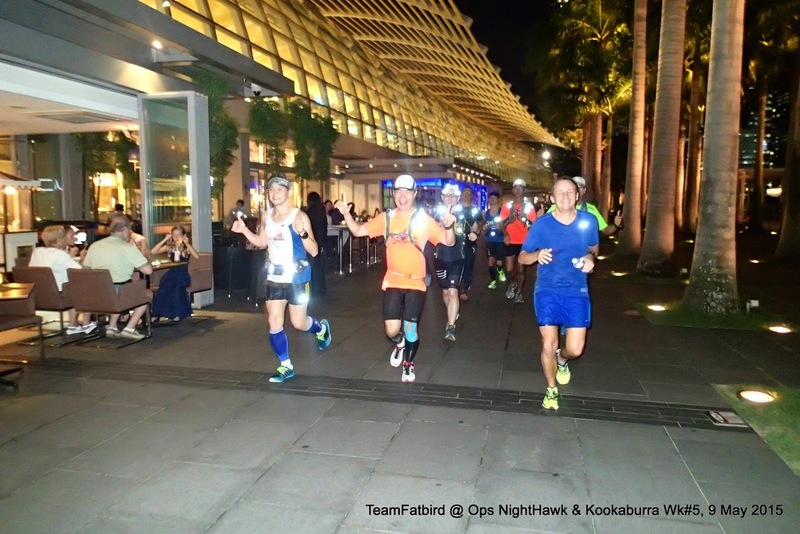 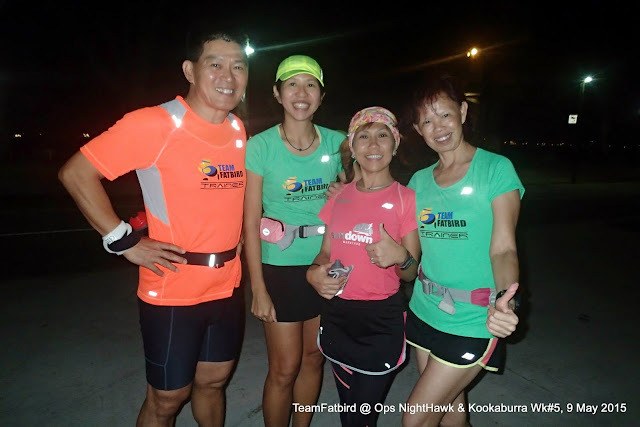 The Kookaburras progressed into week #5 with a new route and challenge - transition from the BaseBuild pace into Marathon pace (which will set the tone from weeks 6-8). 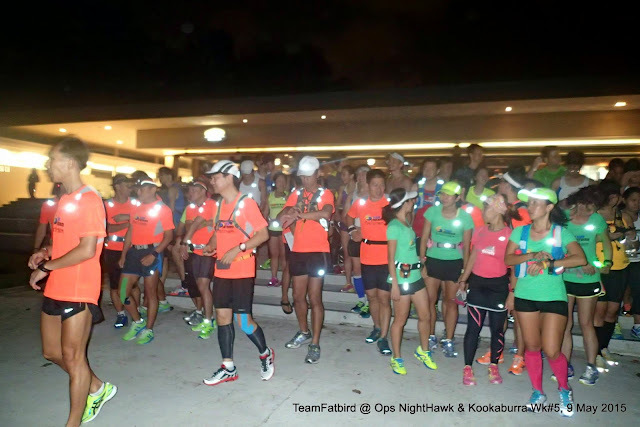 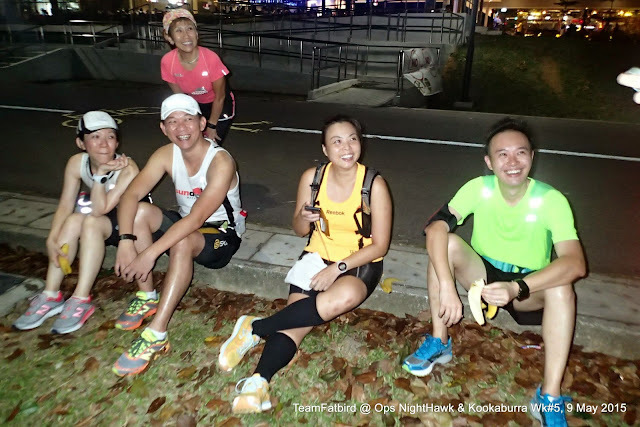 In view of the long 17km-28km distance, we had a quick briefing before starting off by 7:50pm as planned. 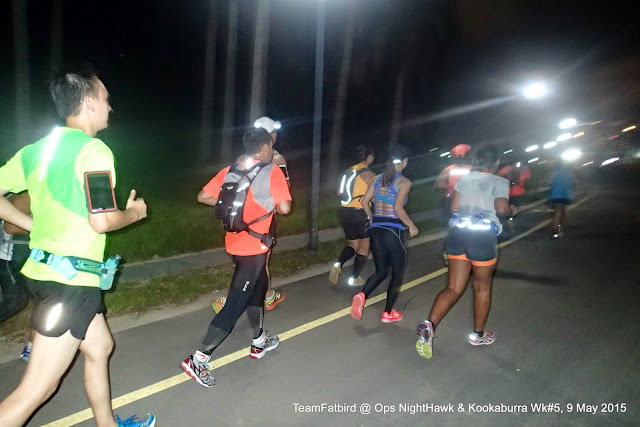 The respective group Trainers, Pacers and Trainees were all excited to test their paces along the new route, and also to put the night's training objectives into practice. 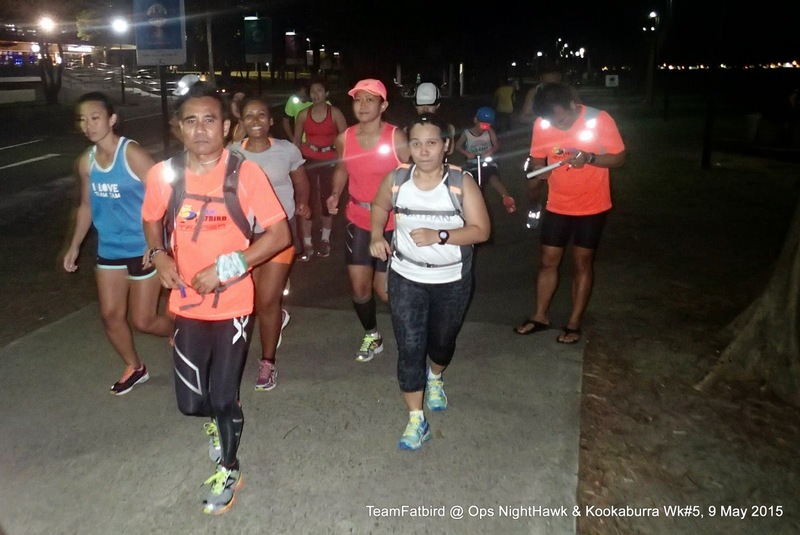 The trainers set very steady paces which prevented trainees from starting too fast in the first half, leaving room for a highly negative split in the second half of the run. 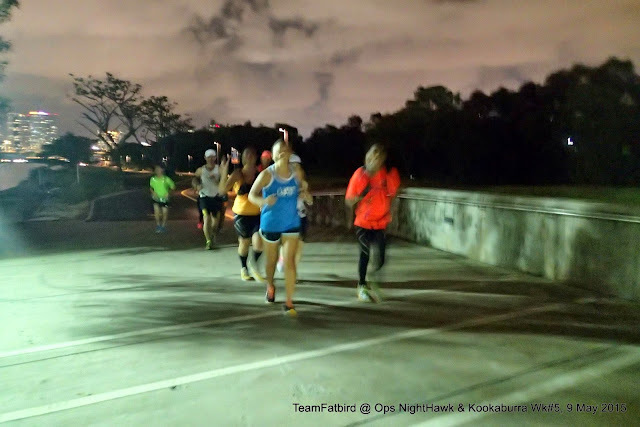 Although the night was windy, there were stretches that were humid. 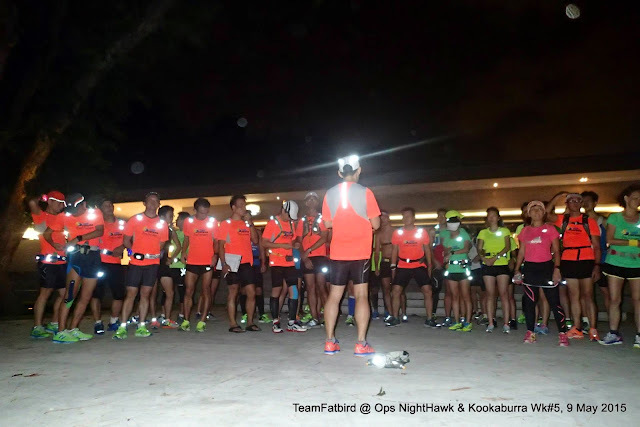 It was good that most of the trainees had hydration with them as advised. 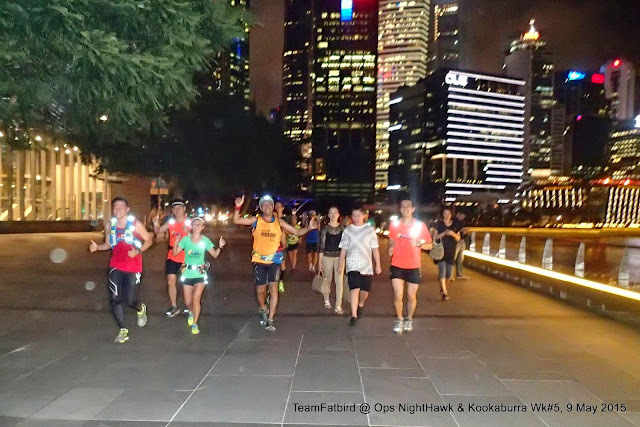 The Kookaburras will advance into Phase 2 (Marathon Pace) from weeks 6-8 with more night conditioning runs of 30km+. 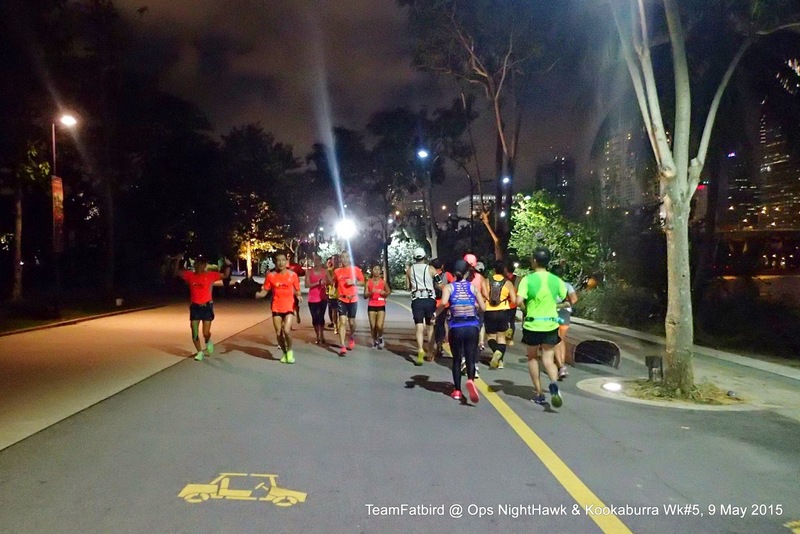 This will set the stage for bringing all into the final phase (Optimal Pace) in weeks 9-12 with a couple of 20km+ (HM) and 30km+ (FM) to ensure sufficient distance and pace conditioning for a fruitful race.